Reservists from 160 Transport Squadron, 158 Regiment RLC, spent the weekend developing professional skills by taking part in a conflict study and then taking on several challenges that were designed to take them out of their comfort zone and make them work together as a team. On Saturday the Reserves took part in a conflict study where they examined the human and economic cost of wars including Bosnia, the first Gulf War and the Suez Crisis. 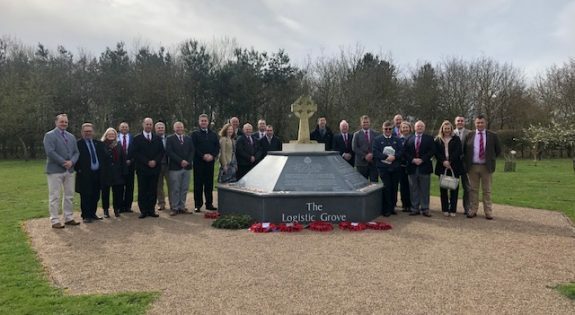 In order to conduct further research the Squadron travelled to the National Memorial Arboretum. 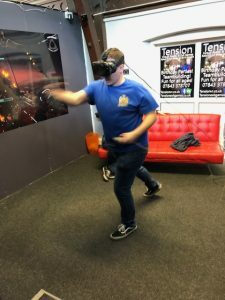 The following day they worked on personal development by taking part in a series of team building challenges including an escape room and a virtual reality trainer where they had to conquer their fears in order to complete the task. Personal development is an important element of Reserve Service, to find out more about joining 160 Transport Squadron contact WO1 Nigel O’Leary on 01522 529082.